Swathed in a a blanket of smooth jazz as enveloping as a Seasonal log fire, this unique and instantly lovable rendition of Charlie Brown's winter swan-song endears itself to your ears and hearts in equal measure the very first time you listen. Jon's relaxed and beautifully melodic interpretation will have you reaching for the hot-chocalate and a loved one (or a cozy sweater) from the first note to the last. 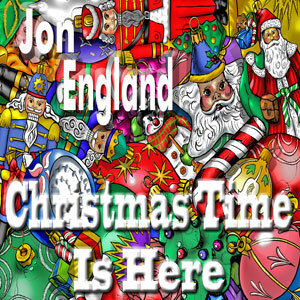 This Christmas classic will be worn out by the time New Year's comes around... then you won't be able to wait until the next year to play it again, just one more time before the snowflakes fall, like crystal notes from Jon's piano.